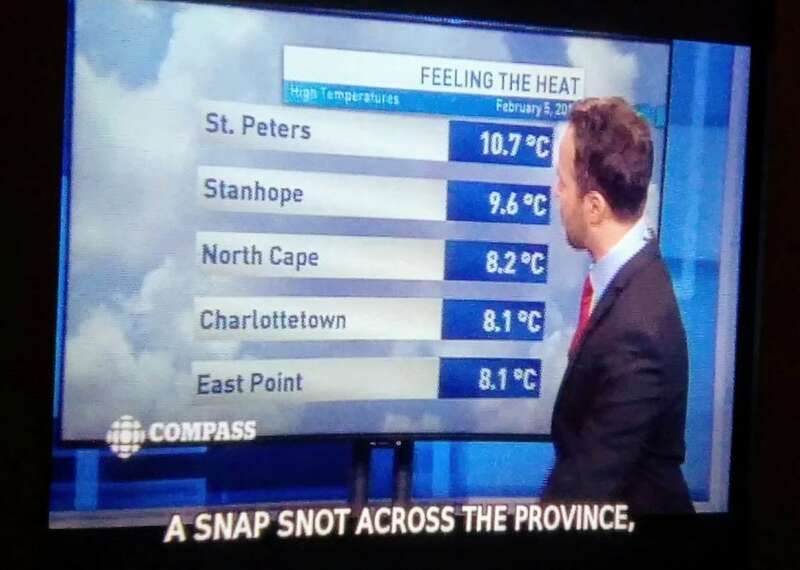 "A Snap Snot Across the Province"
When we watch CBC Compass on our Kodi, the closed captioning is automatically turned on. The result is often equal parts hilarious and disturbing. Hilarious because the captioning is so bad so often, presumably a side-effect of it being done in real time by computers or humans. 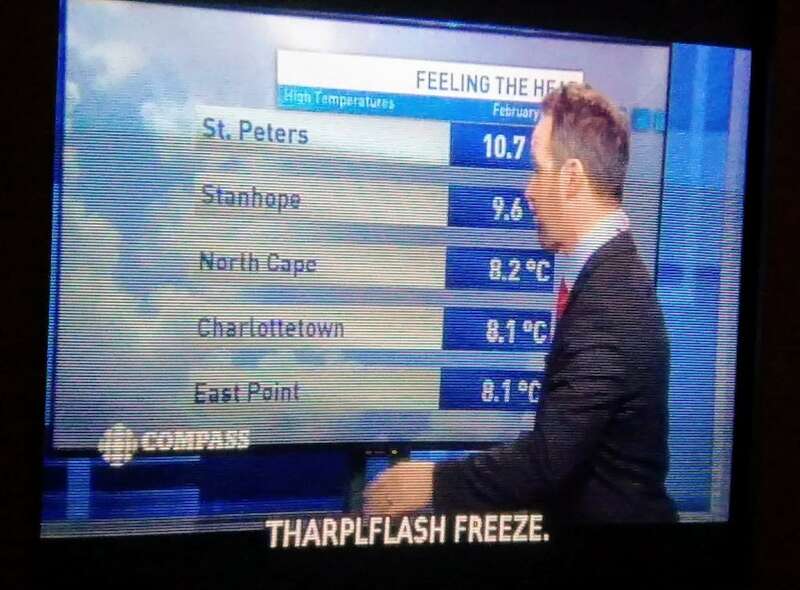 Disturbing because although it’s hilarious for me, if I relied upon the captioning in lieu of being able to hear the newscast, I can’t imagine being able to abide it, the signal to noise ratio being so poor. Written February 9, 2018 at 10:29 a.m. Exactly---I often think of my sister, who is deaf, and how frustrating and inadequate most captions are.